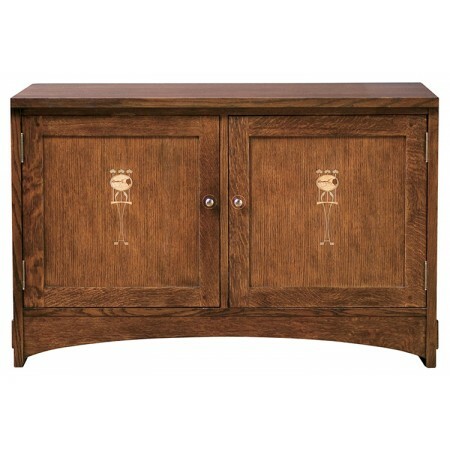 Distinctive Harvey Ellis inlays grace both panels of this double door console that can be bunched with bookcase units. Doors open to reveal two adjustable shelves on the right and one adjustable shelf on the left. Available in solid oak or cherry.